In 2014, one would think that we would have made a full transition from “old SEO” to “new SEO”. The old school of thought is about building an experience for search engines, creating a page to create a ranking. The new school of thought is about molding an insightful, useful experience for the site user. Still, we see many complaining about Panda and Penguin losses. Aside from the schemes you can create to get beat up by the Penguin algorithmic update, a lot of what the Panda algorithm update series of years past encapsulates is the concept of quality unique content vs. unoriginal, syndicated, or thin content. Google helps us to understand how our sites should behave via their Webmaster Guidelines. While this is a regurgitation of common sense for those who know how not to be an uber-spammer it doesn’t help us to get a handle on what thin content truly is. 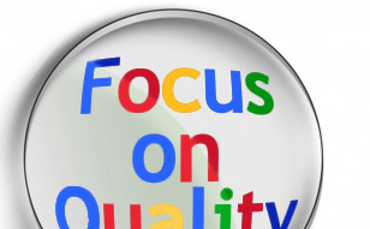 Google’s Amit Singhal in 2011 provided some information on what counts as a high quality website. This post detailed some ways to think about whether your site holds “thin” or low quality content. This is the mindset that helps Google’s Search Quality Raters, so it helps for you to hold this mindset as well. Thin content in many cases is not as obvious as understanding that you do not scrape copy from other sites or exist to syndicate content. You need to take a detailed look at the mission of your content, what purpose it serves, and how your visitors digest and engage with your content. Common SEO tactics of the early 2000s are no longer relevant, there is no need to build content solely for keyword rankings instead of providing added value to users. Thin content is any content on the site that is of low value, to the user and to you as well. It is content that stands in the way of goal funnels, informing others, impeding crawl budget, inflated internal link counts, ultimately causing noise to a search engine. Run a URL scrape of the site and export this list to sort URLs by word count. Also sort URLs by folder. Are you seeing that half of your blog content features posts that are 250 words? This is thin content. Review All Pages section and sort by exit rate. For those pages you see that aren’t specifically expected to usher an exit, what you had expected to have a better user acceptance, are you seeing 75 percent or higher bounce rates? This is thin content. This data is telling us that users aren’t getting what you might expect out of page. Granted, you may have technical issues, too many external links opening in the same window, or other SEO mistakes occurring, but at least you’ll understand where to adjust your focus. Take your analytical analysis a step further and just as we did with the URL scrape review site pages by folder via filtering pages by folder, Content Grouping, or Content Drilldown. This can shed some light on thinness issues at a folder level rather than simply at page level. For a moment, let’s think about ourselves and not the user or search engines. Review the goal success of these page visits as well. If there are pages that don’t serve a purpose for a user and even more so for the objective of your site, why is even there? Review the backlinks for your domain. Step into the Top Pages tab to gain an understanding for what content on your site is receiving links. You may find that what links you do possess are to the homepage and high level pages and that there are pages or site sections with no real link authority. When you export this list also take note of page level associated tweets, Facebook shares and likes, and Google+ +1’s. Again, this may glean information on what content of your site lacks authority from a social or buzz perspective. Google is looking at these factors as well to gauge the potential for thinness. Do Bots Value Your Content? We have a pretty good feel for what thin content may exist on our site, but let’s take Google’s lead on what but be thin in their eyes. Take a trip back into Google Analytics or make your way to Google Webmaster Tools. We will want to take a look at the last three months of Landing Page impression data. Export this and sort by folder. Are there folders of your site that you are noticing which hold little impression value? We’re going to do another task with much the same intention. In SEMrush, run a report of all rankings and export. Sort this list also by folder or site section you will gain a similar understanding of content areas which aren’t ranking or performing well. Still need more convincing of your potential content thinness? Look at the crawl rate of potentially thin pages. Perform a site: advanced operator search in Google for the latest cache date. You may see that the sampled pages do not have very recent cache dates. While this could be a cause of a poorly architected site with a host of technical issues, a site with authoritative content with many impressions and rankings should enjoy high crawl rates. Where to Put Your Attention? The process above identified thin content and inversely it also showed us what isn’t thin. Take a look at those pages and site sections that hold authority, great search presence, and user engagement, and take notes. This are the personal guidelines you will have for reviewing the thin content you have found. What to Do With the Thin Content? Should it die/redirect? If there is no real value for this page anymore, let’s not allow this content to impede users, or dilute internal link juice or crawl budget anymore. Should you resurrect a section? If the content is just poorly written and has aesthetic issues you just may have to do some tweaking in order to revive this content. Should you no index? If you feel that even though the content is thin it still may benefit some users or is a part of the conversion process then this may need to stay. Let’s go ahead and meta robots exclude these pages though so that we are taking them away from search crawler view. Should you reduce internal linking? The page holds some value but doesn’t perform well and you just can’t seem to part ways with it. In the least begin to reduce internal linking to this page so it isn’t in the common route of search engine crawling as well as a distraction for site users. You may have been scratching your head as to why your overall site performance hasn’t been doing well and on the other hand not looked deeply enough past perceived success to see what page/section opportunities exist. This process will allow you to find what thin content exist on site, but also what quality content exists to help mold your personal site standards of content quality.